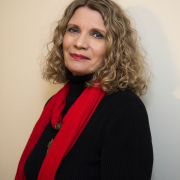 Linda Nemec Foster is the author of eleven collections of poetry including Amber Necklace from Gdansk (LSU Press), Talking Diamonds (New Issues Press), and The Lake Michigan Mermaid (Wayne State University Press). Her work has been published in numerous magazines and journals such as The Georgia Review, Nimrod, Quarterly West, Witness, New American Writing, North American Review, and Paterson Literary Review. Foster’s poems have also appeared in anthologies from the U.S. and Great Britain, been translated in Poland and Germany, inspired original music compositions, and have been produced for the stage. 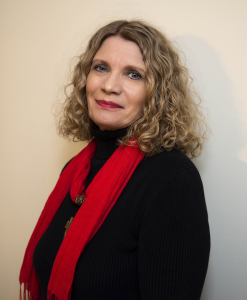 She has received nominations for the Pushcart Prize and has been honored by the Arts Foundation of Michigan, ArtServe Michigan, the National Writer’s Voice, and the Academy of American Poets. From 2003-05, she served as the first Poet Laureate of Grand Rapids, Michigan. In 2015, she was honored by the Dyer-Ives Foundation for her poetry and advocacy of the literary arts in west Michigan. Foster is the founder of the Contemporary Writers Series at Aquinas College. Prizes Won: Finalist, New Millennium Writings Poetry Prize (2016); Lifetime Achievement Award in Poetry, Dyer-Ives Foundation (2015); Pushcart Prize Nominations (1982-2013); First runner-up, New Letters Poetry Award (2013); Runner-up, I-70 Review’s Gary Gildner Poetry Award (2013); Honorable Mention, New Millennium Writings Poetry Prize (2013); Finalist, ForeWord Magazine’s Book of the Year Award (2010); Finalist, New Letters Poetry Award (2010); Creative Arts Award, Polish American Historical Association (2008); Finalist, Michigan Governor’s Arts Award (2007); Selected to be first Poet Laureate of Grand Rapids, Michigan (2003-2005); Finalist, Ohio Book Award for Poetry (2003); Nominee, Laughlin Award (2002); Creative Artist Grant, ArtServe Michigan (2001); Fellowship, National Writers’ Voice (1999); Finalist, Poet’s Prize (1997); Creative Artist Grant, Arts Foundation of Michigan (1996); Creative Artist Grants for Poetry, Michigan Council for the Arts (1984, 1990). Originally Published by Poets & Writers, click here to view article.